Counting On fans worry Jim Bob Duggar and Michelle Duggar‘s controversial parenting has passed down to the new generation of the Duggar family. The adult Duggar kids, who now have children of their own, don’t usually talk about how they discipline their kids. But the fans’ concerns emerged after they connected some dots recently. Counting On – New Generation Continues Duggar Family Tactics? It’s no secret that Jim Bob and Michelle Duggar practiced a form of parenting that brought much controversy during their reign with 19 Kids and Counting. 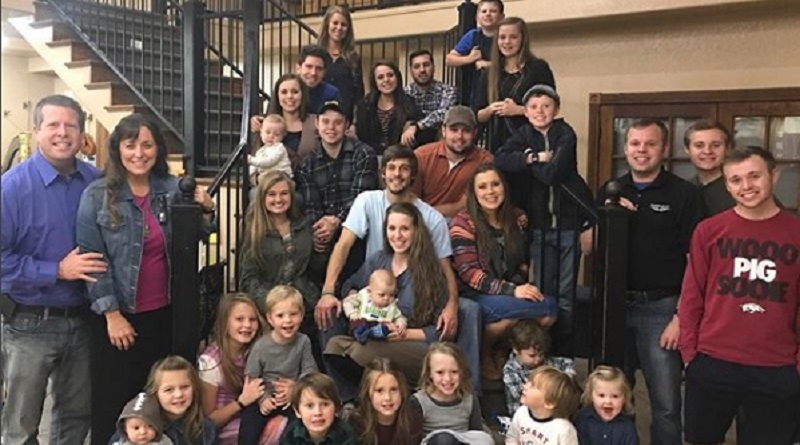 For that reason, fans concerns jumped to Counting On, which is a spinoff of sorts with the adult children of the Duggar family. The Duggar family parents faced fan accusations of using archaic tactics for discipline. They reportedly used “blanket training” with their kids. 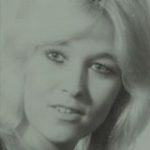 Furthermore, they did this while they followed the teachings of Pastor Michael Pearl and his wife Debi Pearl. According to reports, Pearl is best known for promoting discipline tactics that include corporal punishment for obedience training with kids. Jim Bob and Michelle Duggar Endorse Child Training Book? Jim Bob and Michelle Duggar allegedly had a link to the book written by the Pearl couple, To Train Up a Child, on the Duggar family website. Also for years, the link to the book was allegedly under “Family Resources” on their site, according to the Celebrity Insider. They also report that an old version of a Duggar Family blog said that Michelle Duggar practiced blanket training with her kids. That was allegedly found under the FAQ of that old blog. Counting On – Will Corporal Punishment Seep Into New Generation? There is a Change.org petition with 145,000 addressed to Amazon asking that they stop selling this book. Furthermore, the Pearl couple’s’ methods are “linked to at least three child deaths,” reports CI. Jim Bob and Michelle Rule With a Rod? Back in 2015, Josh Duggar faced accusations of molestation. Fans jumped on the redacted police reports that allegedly revealed the punishment used in the family. Seems as if some of the Duggar family fans pointed out that it said Jim Bob and Michelle use a rod to spank their kids. With that said it is important to note that none of the Duggar kids have ever said their parents used corporal punishment or harsh obedience tactics with them. Very thankful for my sweet mom! Happy Birthday, Grandma Duggar. Watch our video on our website. Fans connected the dots with the Duggar family and the Pearl couple. As a result, this brought them to one of the adult Duggar children, who has kids of her own. Counting On In-Laws One of the Dots? It seems that Joy-Anna’s in-laws run the Fort Rock retreat center and it’s what they have planned for later this year that got the fans’ attention. It seems her in-laws plan to play host to family camps led by Michael and Debi Pearl. So what is this “blanket training?” First of all, a child sits on a blanket laid out on the floor. Then, if the child attempts to move, they’re swatted. The Pearl’s ideas have many people up in arms today over their suggestions on disciplining kids. Fans recently saw Jill get a bit snappy with her son in a video posted online. Seems the tot threw a piece of food on the floor and Jill “snapped at him.” She reportedly said, “No, sir. We don’t make a mess. We don’t say ‘mmmm’ like that. No, no. Say ‘yes ma’am.’” Telling your toddler it’s messy to throw food on the floor hardly sounds like unjust punishment. So much to see and do at Oshkosh Airshow 2018! While Jim Bob and Michelle Duggar allegedly used corporal punishment, it doesn’t mean the adult kids will as well. Many of the Duggar sisters rebelled against Jim Bob’s rules, such as not wearing pants. Chances are if they are going to rebel against anything, corporal punishment would be the first thing yanked out of their routine. And that’s if it ever was part of the Duggar family routine for raising kids. Fans may worry but judging the Duggar kids by their parents doesn’t seem fair. Sure, the Duggar sisters may have some funky ways of putting a dinner together, with all those strange recipes they share online. But the Counting On stars all seem to act like loving parents. And the kids also seem very happy. Counting On airs on Monday night on your local TLC Channel. Come back to Soap Dirt often for more Counting On and Dugger News.